Suzuki will have a couple of alternative-fuel vehicles for the upcoming Tokyo Auto Show. 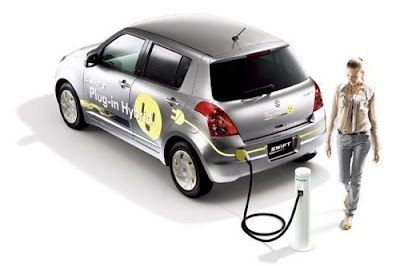 The first will be the Swift plug-in hybrid, the other will be the SX4 FCV (Fuel Cell Vehicle). The Swift will have a 40 kW electric motor and a 658cc gasoline engine. The other vehicle, the SX4 FCV, which has been shown at Paris in 2008, has a GM-sourced fuel cell, and has a 150 mile range.